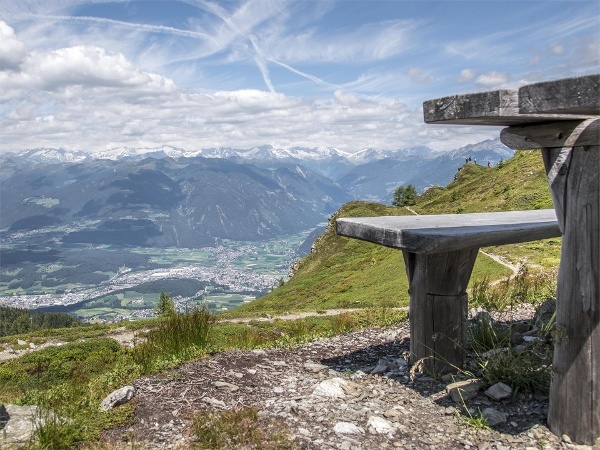 Easy walk around the Kronplatz plateau, ideal for families with children. The top of Mount Kronplatz offers a number of attractions for kids and grown-ups alike: the MMM Corones museum, the impressive Concordia peace bell with its 360° relief depicting the peaks surrounding Kronplatz, a giant swing aptly named Skyscraper and many more – this hike is filled to the brim with treats. 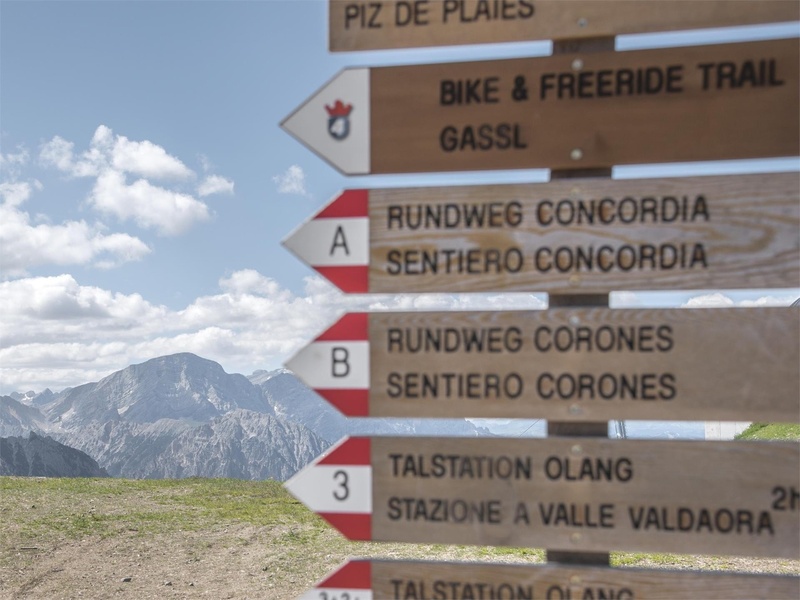 Trail A, an easy circular trail around the Kronplatz plateau at 2275 m above sea-level, sets off from the peak which is conveniently accessible by cable car from Riscone-Reischach, Valdaora-Olang or Passo Furcia-Furkelpass. To get to the top of Mount Kronplatz, simply catch a cable car at one of the valley stations in Riscone-Reischach near Brunico-Bruneck, Casola-Gassl near Valdaora-Olang or Passo Furcia-Furkelpass.